Wise Elk is a young brand of toy and hobby ranges. 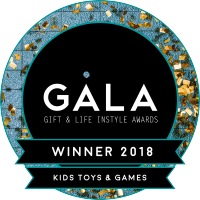 We produce and sell Natural toys directly from Europe that are eco-friendly and educational to bring joy to your children or the young at heart. Under our brand we gather the best craft producers who make beautiful products for people of all ages. What is Wise Elk about? All our products are made from natural material. We use only ecologically safe materials: wood, ceramic, plaster. We are focused on meeting high quality standards. We create beautiful designs in limited edition. Contact us about our products!